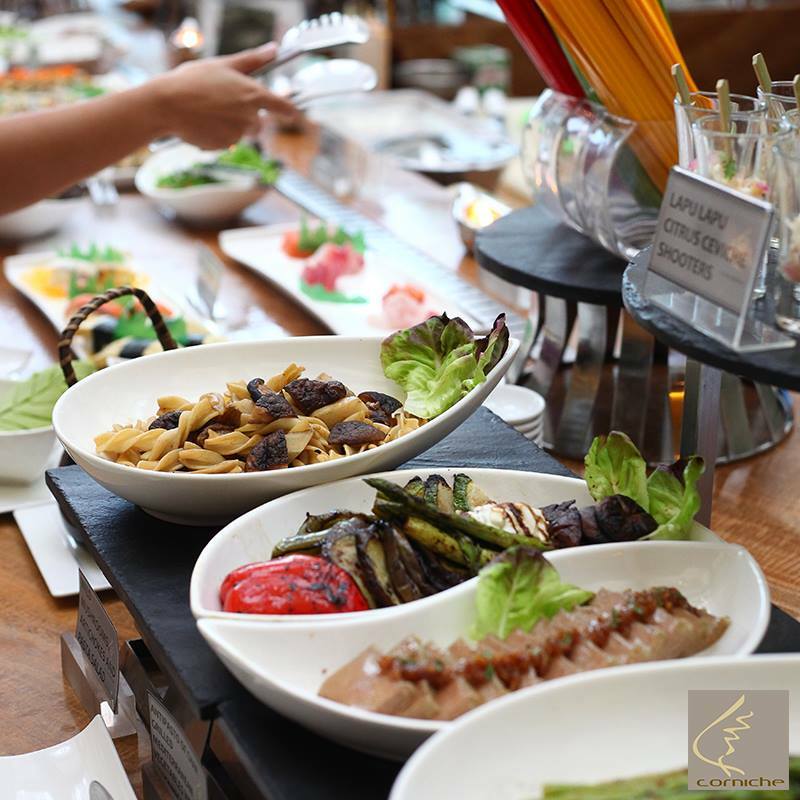 Check out Diamond Hotel's Corniche Lunch Buffet Online Sale! Enjoy a feast for the eyes and a party for your taste buds with their online exclusive offer for Lunch Buffet from Monday to Thursday at P1,333.33 nett per person only. Purchase this treat at HERE and find more delicious deals at onlineshopping.diamondhotel.com. For info regarding redemption, and restaurant reservations, please call Diamond Hotel at 528-3000 (local 1121) from Monday to Friday, 10am to 7pm, or email: restaurant_rsvn@diamondhotel.com.